COLUMBUS, Ohio, Mar. 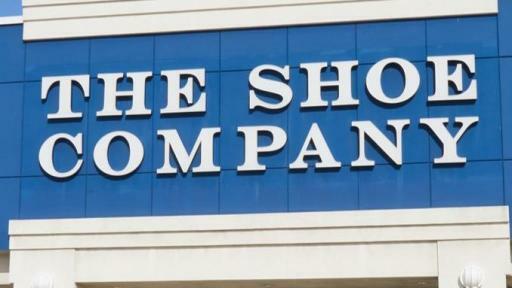 19, 2019 -- DSW Inc. (the “Company”) (NYSE: DSW), one of North America’s largest designers, producers and retailers of branded footwear and accessories, today presented the Company’s three-year strategic priorities designed to leverage its unique business model to unlock value and deliver 2021 Adjusted earnings per share in the range of $2.65 to $2.75. 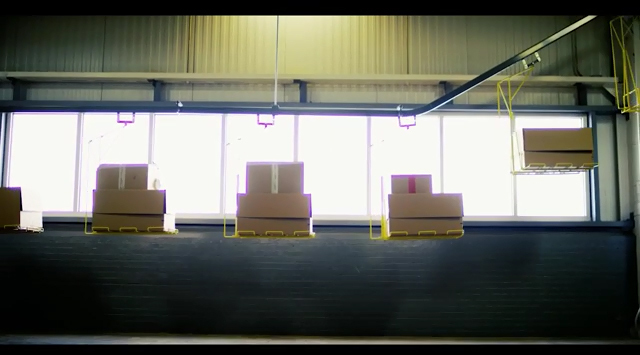 The Company also today unveiled its new corporate name – Designer Brands Inc. [“Designer Brands”] – which supports its vision for the future and reflects its expertise in building brands and delivering differentiated experiences, powered by one of North America’s largest footwear enterprises. 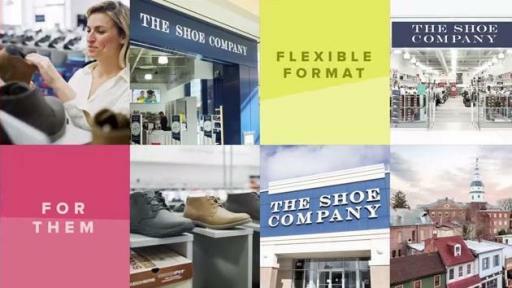 Leverage DSW’s loyalty expertise and infrastructure to launch a new loyalty program for The Shoe Company. Strengthen relationships with and enhance performance of Camuto Group’s retail partners. Fiscal 2019 adjusted earnings per share is expected to range between $1.80 to $1.90. 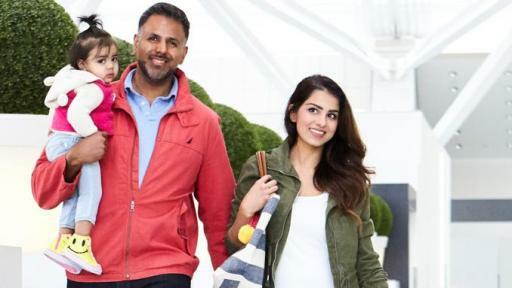 This represents year-over-year earnings growth of 5% to 11% excluding fiscal 2018 losses from the wind-down of operations of exited business and including fiscal 2018 estimated losses for the first quarter of the Canada Retail segment and three quarters of the Branded Portfolio segment. The Company’s outlook assumes a tax rate of approximately 27% and approximately 81 million shares outstanding. 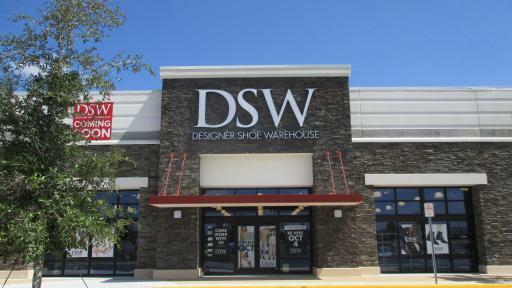 Effective today, the parent company, DSW Inc. becomes Designer Brands. 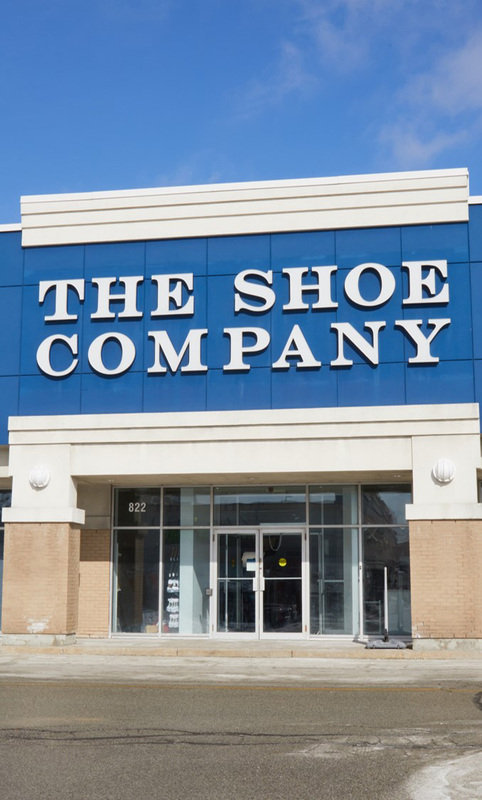 In conjunction with its corporate name change, Designer Brands will change the Company’s ticker symbol from “DSW” to “DBI,” effective at the start of trading on April 2, 2019, which has been approved by the New York Stock Exchange. As of that date, the “DSW” trading symbol will no longer be active. No action is needed from the Company’s current shareholders relative to the ticker symbol change. 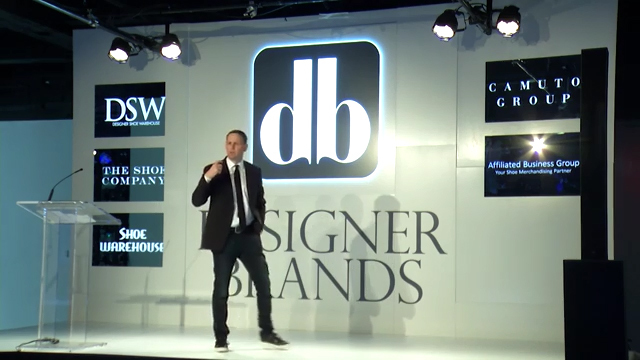 An archived replay of the webcast for Designer Brand’s 2019 Investor Day can be accessed at https://www.webcaster4.com/Webcast/Page/1213/29255. Designer Brands is one of North America’s largest designers, producers and retailers of footwear and accessories. The company operates a portfolio of retail concepts in nearly 1,000 locations under the DSW Designer Shoe Warehouse, The Shoe Company, and Shoe Warehouse banners and services footwear departments in the U.S through its Affiliated Business Group. Designer Brands designs and produces footwear and accessories through Camuto Group, a leading manufacturer selling in more than 5,400 doors worldwide. The Camuto Group owns licensing rights for the Jessica Simpson® footwear business, and footwear and handbag licenses for Lucky Brand® and Max Studio®. In partnership with a joint venture with Authentic Brands Group, Designer Brands also owns a stake in Vince Camuto®, Louise et Cie®, Sole Society®, CC Corso Como®, Enzo Angiolini® and others. More information can be found at www.designerbrands.com. Certain statements in this press release may constitute forward-looking statements and are made pursuant to the safe harbor provisions of the Private Securities Litigation Reform Act of 1995, including the statements made in our “Fiscal 2021 Financial Objectives and Fiscal 2019 Outlook." You can identify these forward-looking statements by the use of forward-looking words such as “outlook,” “believes,” “expects,” “potential,” “continues,” “may,” “will,” “should,” “would,” “seeks,” “approximately,” “predicts,” “intends,” “plans,” “estimates,” “anticipates,” or the negative version of those words or other comparable words. These statements are based on the Company's current views and expectations and involve known and unknown risks, uncertainties and other factors that may cause actual results, performance or achievements to be materially different from any future results, performance or achievements expressed or implied by the forward-looking statements. These factors include, but are not limited to: our success in growing our store base and digital demand; risks related to our acquisitions of Camuto Group and TSL, including the possibility that the anticipated benefits of the acquisitions are not realized when expected or at all; our ability to protect our reputation and to maintain the brands we license; maintaining strong relationships with our vendors, manufacturers and wholesale customers; our ability to anticipate and respond to fashion trends, consumer preferences and changing customer expectations; risks related to the loss or disruption of our distribution and/or fulfillment operations; continuation of agreements with and our reliance on the financial condition of Stein Mart; our ability to execute our strategies; fluctuation of our comparable sales and quarterly financial performance; risks related to the loss or disruption of our information systems and data; our ability to prevent or mitigate breaches of our information security and the compromise of sensitive and confidential data; failure to retain our key executives or attract qualified new personnel; our reliance on our loyalty program and marketing to drive traffic, sales and customer loyalty; risks related to leases of our properties; our competitiveness with respect to style, price, brand availability and customer service; our reliance on foreign sources for merchandise and risks inherent to international trade, including escalating trade tensions between the U.S. and other countries, as well as U.S. laws affecting the importation of goods, such as recent tariffs imposed on Chinese goods imported to the U.S.; uncertainty related to future legislation, regulatory reform, policy changes, or interpretive guidance on existing legislation, including the impact of the Tax Cuts and Jobs Act; uncertain general economic conditions; risks related to holdings of cash and investments and access to liquidity; and fluctuations in foreign currency exchange rates. Risks and other factors that could cause our actual results to differ materially from our forward-looking statements are described in the Company's latest Annual Report on Form 10-K or other reports filed with the Securities and Exchange Commission. All forward-looking statements speak only as of the time when made. The Company undertakes no obligation to update or revise the forward-looking statements included in this press release to reflect any future events or circumstances. 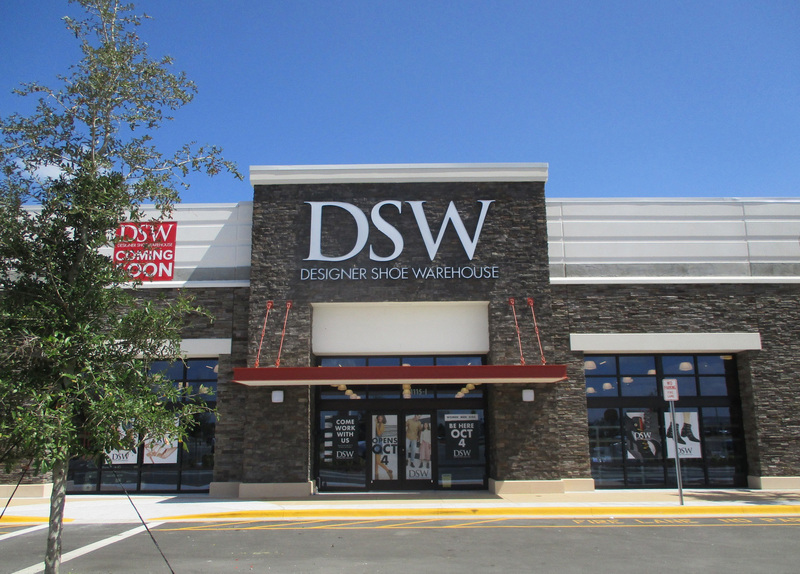 1 References to “DSW” refer to the DSW Designer Shoe Warehouse banner.